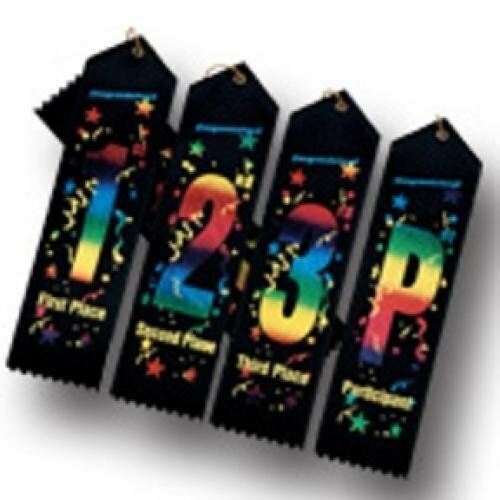 The celebration ribbon has a single streamer with an attached event card on the back. A string is attached through the eyelet. It is available for 1st through 3rd place and participation. 1st Place Celebration Ribbon - 2" x 8"
2nd Place Celebration Ribbon - 2" x 8"
3rd Place Celebration Ribbon - 2" x 8"
Participant Celebration Ribbon - 2" x 8"